The Brexit result was a shock to the political establishment. Many of us on the left were distressed by the outcome; Leave ran a campaign fuelled by xenophobia and secured the support of 52 per cent of voters. In the days that followed, racist sentiment spilled out into the streets: migrants and people of colour were attacked. The EU debate exposed feelings of anger and resentment that had long been bubbling under the surface of English society. But the referendum result can’t be ignored. 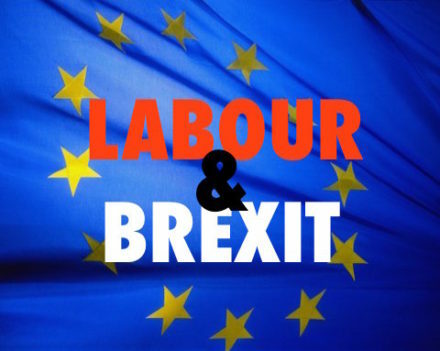 If the Labour Party decides to campaign for Brexit to be challenged with another vote, it will lose further ground to UKIP and could doom itself to electoral disaster. Leadership candidate Owen Smith wants to wander down this disastrous path. He is determined for Labour to promise it would have another referendum on the terms of the Brexit agreement when it’s decided. Before even hearing what the deal would look like, Smith has said that under his leadership Labour would campaign to stay in the EU. In contrast, his opponent, Jeremy Corbyn has said Labour should accept the referendum result and work with it. Now, there’s nuance in Smith’s comments; he isn’t asking for June’s vote to be ignored, he’s proposing that another referendum is held on the final departure deal or that Theresa May calls for a general election to approve it. But there’s an underlying assumption that’s incredibly patronising; that people who cast their ballot for Leave didn’t understand what they were voting for. At best another vote misunderstands why more than 50 per cent of people opted for Leave, at worst is disregards and condescends them. If Labour were to adopt this stance, the message they’d be sending is: we know better than Leave voters and we want to stay in the EU at any cost. It would be a gift to the self-characterised anti-establishment establishment politicians – particularly UKIP – who campaigned for Leave and hijacked Labour’s message that they stood up with and for the powerless. If Labour adopt Smith’s stance it would likely spell electoral trouble for the party. Research suggests “most prospective MPs at the next election will be standing in constituencies which voted to Leave” and most of Labour’s seats and targets are in “Leave-leaning” areas. It’s not that Labour shouldn’t take on conventional wisdoms but in this instance they would be seen as trying to undo a democratic vote. Any attempts to block Article 50 would (further) alienate Brexit voters who began to feel abandoned by the party under New Labour. This approach to the referendum result smacks of panicked thinking; it’s no good fighting a referendum that’s already been decided. The levels of xenophobia and hate that burst into the open after the referendum could intensify if Labour pushed for another vote. People of colour – both British-born and from abroad – and migrants would likely bear the brunt of unhappiness with pro-EU politicians’ decision to keep having votes until they were happy with the outcome. These are many of the same people who suffer because politicians, including Smith, refuse to properly take on anti-immigration myths. Whether you like Jeremy Corbyn or not, he’s right about the referendum. Owen Smith’s approach is patronising and fuelled by wishful thinking. The UK leaving the EU is not the outcome many of us wanted from the vote in June but to try and undo it would be a disaster for Labour.